The number of people who suffer from headaches is, well, mind-numbing. The World Health Organization estimates that 47% of adults has a headache at least once every year. Even more mind-numbing? The number of triggers that can actually cause that annoying head pain. "Most people recognize that not getting enough sleep and hormonal changes can provoke headaches," says Dr. Elizabeth W. Loder, chief of the Neurology Department's Division of Headache and Pain at Brigham and Women's Faulkner Hospital in Boston. "But often they are not aware that high altitudes, diving, or even thyroid problems can cause aches, too." And that's not all — here are few more surprising culprits that might be making your head throb. "Relaxation after stress is a classic headache trigger for people who are susceptible to migraines," Loder reveals. Known as a "let down" headache, the phenomenon was the subject of a recent study. 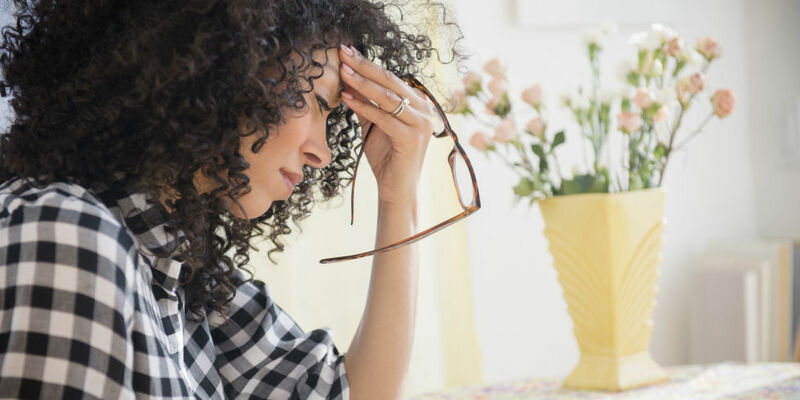 In it, researchers found that during the first six hours of reduced stress, migraine sufferers' risk of headache was a whopping five times higher. See Also - What Causes Dizziness and Blackout? Rainy weather may get blamed a lot, but other types of weather also contribute to migraines for more than half of sufferers, shares Lee Peterlin, Director of Headache Research at Johns Hopkins Headache Center in Baltimore. Temperature spikes, in fact, even land some people in the emergency room. Daily "cluster headaches" can be set off by adjusting the hour for daylight savings time or by traveling through time zones — and can last for up to seven weeks. Why? Blame the resulting changes in your circadian rhythm. Yep, believe it or not, an estimated 25% of all migraine headaches are caused by tyramine, a substance in protein. So if looking for a food fix for migraines, consider eliminating these high-tyramine cheeses first: English Stilton, blue cheese, sharp cheddar, Danish blue, mozzarella, Swiss Gruyere, feta, Parmesan, and Gorgonzola. Other offenders? Bacon, ham, hot dogs, avocado, and bananas. Ironic, isn't it? "The single biggest, unrecognized cause of headache is probably medication or pain-killer overuse," says Peter J. Goadsby, professor of neurology at Kings College London and University of California, San Francisco, where he heads up the Headache Center. How? Because people who take painkillers 10 days or more a month are primed for a "rebound headache," adds Goadsby. "The headache returns when the drugs wear off." No, seriously. According to the Migraine Research Foundation, if one parent suffers from migraines, there is a 40% chance a child will suffer them as well. Both parents? The likelihood rockets to 90%. If you're not consistently sleeping, exercising, and eating at the same time, you could be contributing to the pain. "Regularity is very helpful at keeping headaches at bay," explains Goadsby, who adds that scientists haven't yet determined the exact reason why. For now, just trust us — and stick to a schedule. Make sure you grab a bite before you go: In a recent study of 1,200 migraine sufferers, researchers found that fasting or missing a meal was the second-most common trigger of headaches in men and the third most common trigger in women. About 95% of fragrances are made up of synthetic compounds, one of which, benzyl alcohol, causes headaches. Scent-sensitive people may also want to watch out for air fresheners as they often contain the same irritating ingredient. Sure, we admit this one is a stretch. But a recent study of chronic headache sufferers showed a marked improvement after they were given a dose of oxytocin, the "cuddle hormone." If more physical contact can ease your head — and heart — woes, then it's worth a try, right?